A New Year's Resolution can be very powerful. Perhaps this is the year you make big strides toward a better life, toward your Bucket Life. Perhaps this is the year that you start living as Your True Self. Perhaps this is the year you make a Wonderful change in your life. I challenge you to commit to a REAL resolution. to start living your Bucket Life? You know, that thing that's always "too big to handle right now"? You know, that thing that will make you soooo happy? That thing that you must do before you kick the bucket? I challenge you to do THAT for a YEAR!!! You've got a year, no need to speed. Choose systems over early progress. Commit to yourself, not easy wins. Stop selling yourself short. You're more amazing than you know. You just need more than a month to prove it. So start today, start right now! 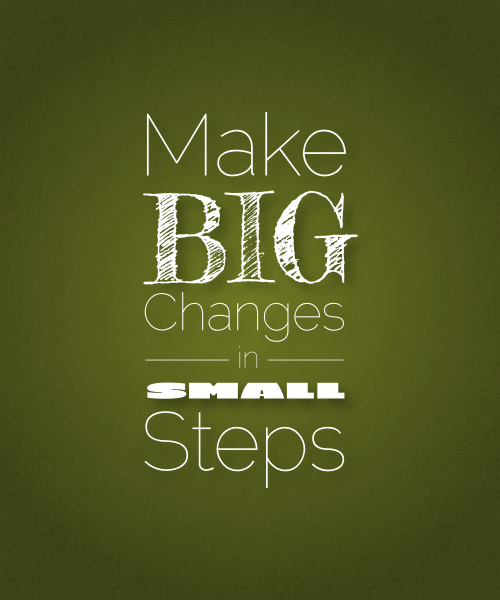 Small steps along a Steady Path will get you to your Dreams. What's your New Year-Long Resolution? Tell me below!